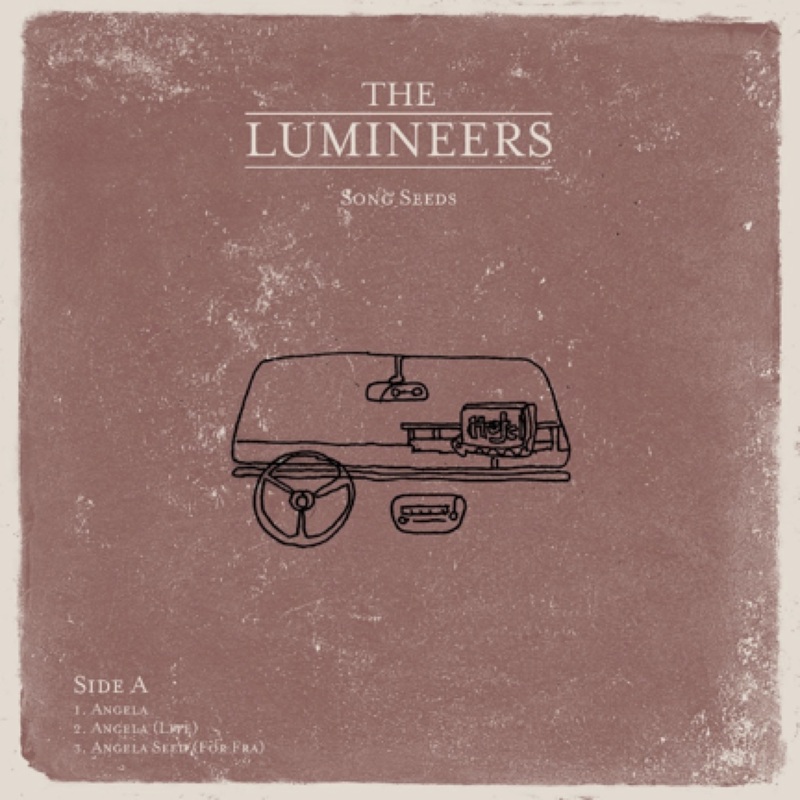 Grammy-nominated Americana stars The Lumineers today announce the release of ‘Seeds’, an exclusive 10” vinyl set to be released in conjunction with Record Store Day. The limited edition release from the critically-lauded Denver-based outfit shows the progression of two of the most popular tracks from their No.1 sophomore album ‘Cleopatra’ (‘Angela’ and ‘Long Way From Home’) from initial demo, through recording to the live entity. The other offering on ‘Seeds’, ‘Long Way From Home’, displays the band’s uncompromising songwriting & emotional prowess in full force, centred on a simple picked guitar line and frontman Wesley Schultz’ voice, lyricism & storytelling centre stage. ‘Seeds’ will be released on Record Store Day on Saturday 22nd April and you can find it at your local (participating) record store HERE. The Lumineers are currently in the midst of an extensive North American arena tour in support of last year’s #1 album ‘Cleopatra’, which was described by The Evening Standard as “Echo-laden, sparse Americana illuminated by Wesley Schultz’s remarkable voice.” The band’s current live plot on The Cleopatra World tour has seen them play to adoring fans all over, including two sold out nights at the legendary Madison Square Garden. The band will return to London this summer with an appearance at Hyde Park’s British Summer Time Series (appearing alongside similarly-revered songwriters Stevie Nicks and Tom Petty and the Heartbreakers). Following that The Lumineers hit the road and will perform in stadiums opening up 13 shows with U2.